The following Terms and Conditions (“Terms”) only apply to transactions that do not have a written agreement, duly executed by both parties. If there is such an agreement, then those terms shall be the terms that govern the transaction and relationship of the parties. These Terms apply to all purchase of products by Bridgeview Power (Seller) and the Buyer. Buyer represents that it is solvent as of the date of this Agreement. Buyer acknowledges that any credit offered to Buyer is contingent on Buyer’s account remaining in a current status through the date of delivery of any orders from Seller. Should Buyer’s account fail to remain in a current status, or Seller receive information indicating Buyer is delinquent with other vendors or that there has been a deterioration in Buyer’s financial condition, the terms of sales shall revert to cash upon delivery at Seller’s sole option. Buyer agrees that interest at the rate of 1.5% per month or the highest allowed by law (whichever is lower) will be imposed on all account balances that are past due. Buyer also agrees if an invoice is not paid within 30 days of its due date, Buyer will be liable to and shall reimburse the Seller for reasonable attorney’s fees, expenses and/or collection charges in addition to the aforementioned interest charges incurred in the collection of these delinquent amounts. Furthermore, if any invoice due by Buyer to Seller exceeds 30 days past due, all monies owed Seller by Buyer shall immediately become due and payable in full regardless of their original due date. To the extent that the provisions of the previous sentence becomes applicable, if at that time Seller owes Buyer any monies, those amounts shall be set-off against amounts Buyer owes Seller. The parties hereto agree that all actions or proceedings arising in connection with this Agreement and its related sales transactions shall be tried and litigated exclusively in the State and Federal courts located in the County of New York, State of New York. The aforementioned choice of venue is intended by the parties to be mandatory and not permissive in nature, thereby precluding the possibility of litigation between the parties with respect to or arising out of this Agreement in any jurisdiction other than that specified in this paragraph. Each party hereby waives any right it may have to assert the doctrine of forum non convenient or similar doctrine or to object to venue with respect to any proceeding brought in accordance with this paragraph, and stipulates that the State and Federal courts located in the County of New York, State of New York shall have in personal jurisdiction and venue over each of them for the purpose of litigating any dispute, controversy, or proceeding arising out of or related to this Agreement. The parties agree to waive any right to trial by jury. Each party hereby authorizes and accepts service of process sufficient for personal jurisdiction in any action against it as contemplated by this paragraph by registered or certified mail, return receipt requested, postage prepaid, to its registered agent in any jurisdiction in which it is incorporated or does business in. Any final judgment rendered against a party in any action or proceeding shall be conclusive as to the subject of such final judgment and may be enforced in other jurisdictions in any manner provided by law. Seller disclaims all warranties (expressed or implied) related to the product, its merchantability or fitness for a particular use other than product(s) meets the written specification provide by Seller. Buyer acknowledges that the only representations related to this product that have been made by Seller are contained in writing provided to the Buyer by the Seller. Buyer shall inspect all goods within a reasonable period (not to exceed 7 days) from date of delivery. Any claims for nonconformance with Seller’s written specifications or shortage not made in writing and received by Seller by the end of the 30th calendar day after delivery shall be consider irrevocably waived. Additionally the Buyer agrees that no action founded upon this contract (other than an action by the Seller to collect an amount due arising out of this contract) or in tort shall be brought unless it is commenced within 366 days of the act or omission complained of. Buyer agrees that this Agreement shall be binding on Buyer and all successors. These terms shall only be modified in a writing signed by Bridgeview Power and no waiver of the terms and conditions shall be valid unless communicated in a signed written agreement indicating that the writing is a waiver and specifically referencing the term or condition being waived. The purchaser must receive a Return Goods Authorization (RGA) number, using Bridgeview Power standard form. Return of defective products will be accepted only within 14 days of RGA date. RGA number must be shown on the exterior of the package. A packing slip must be supplied with a copy of the approved RGA. Unauthorized returns will not be accepted. Returned goods are subject to inspection to identify Bridgeview Power’s liability in order to repair, replace or issue credit. Restock charges apply, unless waived in writing. Standard freights terms are F.O.B. factory; “prepay and charge”, and ownership transfers upon signature of shipper’s bill of lading. Prepay shipping charges will be added to the invoice. Claims for freight related damages and shortages of packages should be made to the carrier. This includes orders that have been quoted with freight expenses. Shipping dates given by Bridgeview Power are estimates only, and should not be considered as a fixed or guaranteed date. 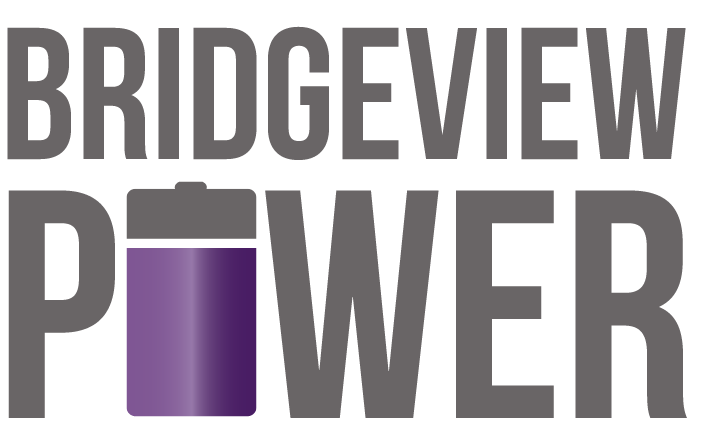 Bridgeview Power will not be responsible for any damages, penalties or back charges of any kind, resulting from delayed shipments or its inability to ship by the acknowledge shipping date. Goods cannot be returned for failure to meet estimated delivery dates.